Samsung has definitely been a frequent presence in the rumor mill lately, but these new pictures are some of the hottest info we've got so far. Case maker ITSKINS sent us a bunch of renders of the upcoming Galaxy Note 5 and the Galaxy S6 Edge Plus, revealing their dimensions and control layout. A lot has been said about all of these alleged devices, but as far as we can currently gather - the Note 5 will most-likely come alone, with no other Note unit and the aforementioned Galaxy S6 Edge Plus will stand in as a double-edged variant in the same form factor, but with slightly lower specs and no S pen. This, doesn't definitively dispute the existence of a new edged Note phone, but, considering recent developments in the story, we find that a lot less likely. 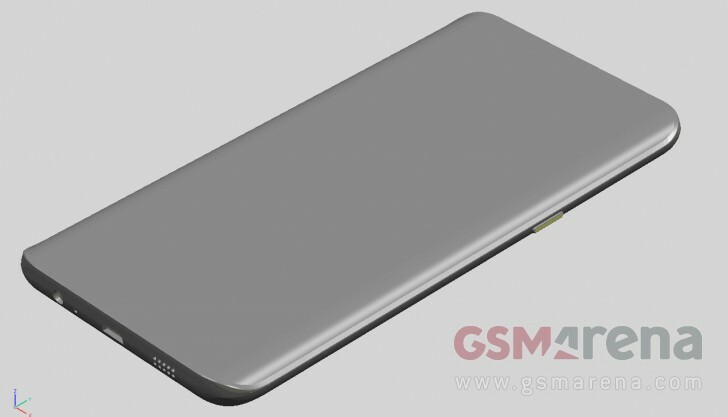 The first set of renders clearly portrays the upcoming GalaxyNote 5. It is a flat unit, with no screen curvature, but it follows the Galaxy S6 and S6 edge design language with a slope of the back panel. Considering how the frame overlaps the edges, it really looks like another glass back. Don't get us wrong, that is definitely a stylish touch, but also means that the Note is losing its removable battery. Thankfully, however, the signature S pen is still present and from the looks of it now has an automated or push to eject mechanism. We also finally have precise device dimensions - 153.3mm x 76.1mm x 7.9mm. Using those we were also able to calculate the screen diagonal, which will again stand at 5.7". We can also definitively see a traditional micro USB connector, so no type C and a single cover, concealing the SIM card, but perhaps also a microSD card slot, we can't really be sure about that. 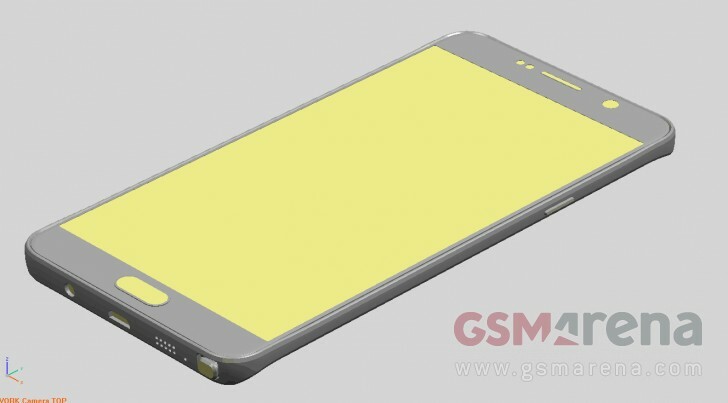 Then we have the second set of renders, which due to the lack of an S pen and the clearly-noticeable Galaxy S6 edge styling, we believe to be the alleged S6 Edge Plus. There isn't really much to deduct from the images - it simply looks to be a supersized Galaxy S6 edge, just like we previously thought. We have precise dimensions for this handset as well - 154.4mm x 75.8mm x 6.9mm. Bear in mind, however, that the significantly protruding main camera does add quite a bit to the actual girth of the unit. Calculating a display size on this one is a lot more-difficult, but it is somewhere in the same ballpark as the Galaxy Note 5. This is definitely the best glimpse we have managed to catch of the upcoming devices to date. As far as the rest of the hardware - the Note 5 will be powered by the in-house Exynos 7422 SoC, a reworked version of the already familiar 7420 inside the Galaxy S6, but with built-in cellular modems this time. The camera setup should consist of a 16MP primary camera with OIS and a 5MP front-facing one. Memory is set at 4GB for RAM and 32GB of onboard storage. Most of this is also true about the Galaxy S6 Edge Plus, except of the chipset, which is said to be a Snapdragon 808 SoC. Battery packs are also slightly different - 4,100 mAh for the Note 5 and 3,000 mAh for the S6 Edge Plus.